There are some condition when we don’t have SIDPP (0 or very low value of sidpp) or are unable to see it. If there is float valve in drill string or casing. 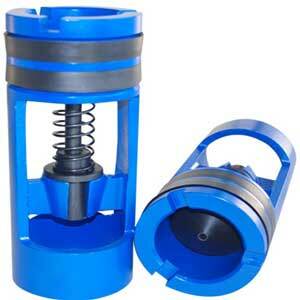 Float valve is a NRV (Non return valve) installed in drill string or casing and allows fluid flow in one direction only. In this case there is shut-in pressure but float valve dosent allow it to transmit through itself due to which shut-in drill pipe pressure is not seen at surface. To measure SIDPP in this case, we need to follow a procedure called Float bumping. If drill string or casing is plugged, shut-in drill pipe pressure is not seen at surface. Also as the drill string is plugged it’s not possible to pump drilling fluid through the string. In this case it’s not possible to follow Driller's Method or wait and weight method and we have to go for volumetric method which involves pumping the mud through the annulus using kill line. And the formation pressure and kill mud weight is calculated using shut-in casing pressure (SICP) and hydrostatic pressure on annulus side. If there is no drill pipe shut-in pressure (DPSIP or SIDPP both are same) which happens when the formation pressure is completely balanced on the drill string side but not on the annulus side. In that case simply circulating Drill string mud through annulus and to surface is going to balance the BHP from annulus side too. In the first two cases we had shut in drill pipe pressure but due to float and plugging that pressure is not felt at surface and the guages will show '0' value. While in third case SIDPP is actually zero. Kill mud is the mud required to kill the well in case the Kick has taken place. 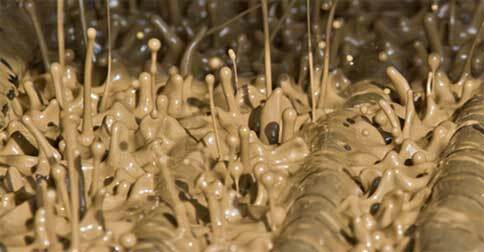 To calculate the kill mud weight required, first we need to calculate formation pressure due to which kick has taken place. Shut-in drill pipe pressure (sidpp) is the surface pressure on drill string side when an influx has taken place and the well is shut. 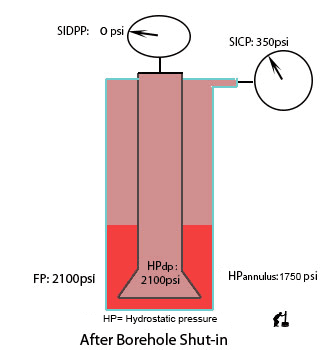 While Shut-in casing pressure SICP is the surface pressure on casing side. 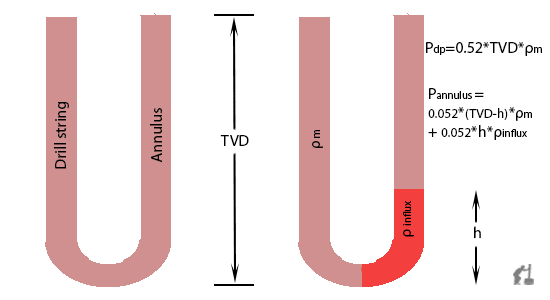 There is a assumption in well-control calculation, When the kick takes place formation fluid flows into annulus and not inside the drill-pipe. Which is genrally true, as the genral direction of fluid flow is from drill pipe to annulus side. 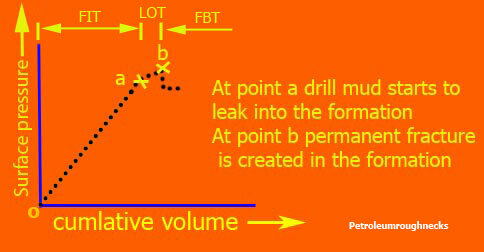 Kick is the inflow of formation fluid into the wellbore. Generally drilling is done under overbalance condition which means borehole pressure is higher than formation pressure. 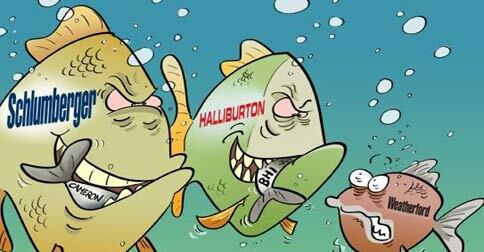 This overbalance keeps the formation fluid from entering into the wellbore. But sometimes due to different reasons wellbore pressure may decrease below the formation pressure (under-balance condition), which allows the formation fluid to enter into the hole. This influx is called kick. 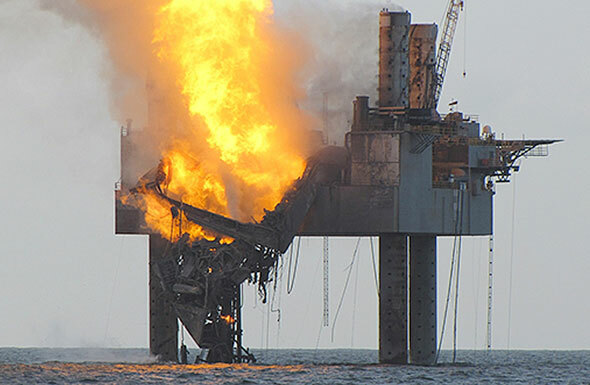 Kick can happen during any operation drilling,tripping and circulation. If the kick is handled successfully kick is said to be killed and if the kick flows to the surface uncontrolled its called a blowout. 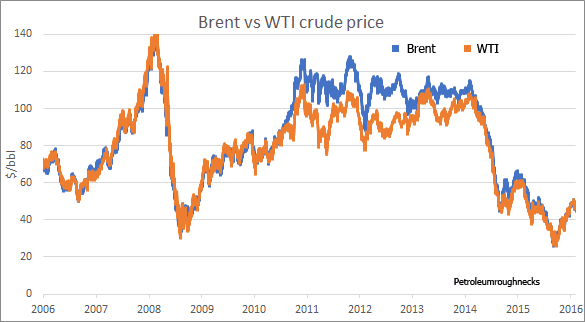 Whenever we check for crude oil prices, we notice one thing that Brent crude oil prices are generally higher than WTI crude oil Prices.What is the reason for this Brent WTI price spread? Meanwhile ,the oil price that had started plummeting in November 2014 has rebounded to 99$/bbl on January 2020.The operations that were shutdown over years -when oil price reached 33 $ ,while Iran flooded the market in Early 2016 ,were resumed in 2017-18 and are operating at full phase now- creating more job prospects & higher demand in 2020. While the Multinational Service Companies were hit by the low oil prices in 2015-16 resulting in Cost cuttings,at the same time they were taking advantage of the situation & busy planning for swallowing up the companies that could not able to sustain the weakness. The Wave of Mergers and Acquisitions that started in 2014-15 are a bit Freezing now as Industry is Prepared with Restructuring ! While Leak off test, Formation integrity test & Formation breakdown test all have the same procedure and aim, the only difference is the point to which the casing shoe will be pressured.